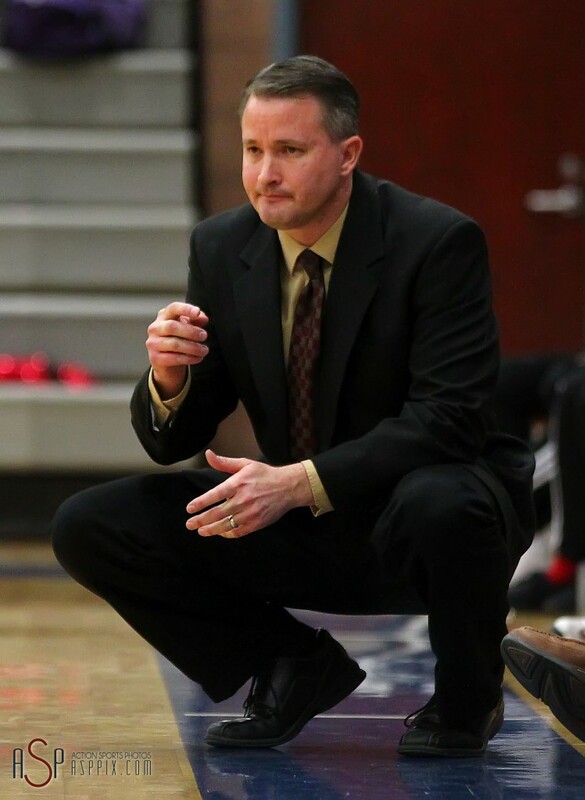 ST. GEORGE — As far as beauty goes, Cedar girls basketball coach John Elison isn’t going to send this game out on a postcard. But then again, beauty is in the eye of the beholder and Elison’s Lady Reds 52-42 win over Dixie Tuesday night makes them 4-0 in region play –and there’s nothing prettier than a perfect record. It’s a good thing, too, because the Lady Reds did not shoot the ball well (16 of 62, 26 percent) and they turned it over a lot (25 TOs in the game). But Cedar owned the glass, out-rebounding Dixie 53-32, including 18 on the offensive end that led to 13 second-chance points. Foley was one of three CHS players in double-figures. She had 12 points and 8 rebounds, while Javlyn Weaver had 10 points and 12 boards and Courtney Morley had 10 points and 8 rebounds. The game was close for most of three quarters, with Cedar rushing out to six or eight-point leads, only to have Dixie make a push and tie or come close. The Lady Reds went on an 8-2 run early in the third quarter to take a 32-26 lead. 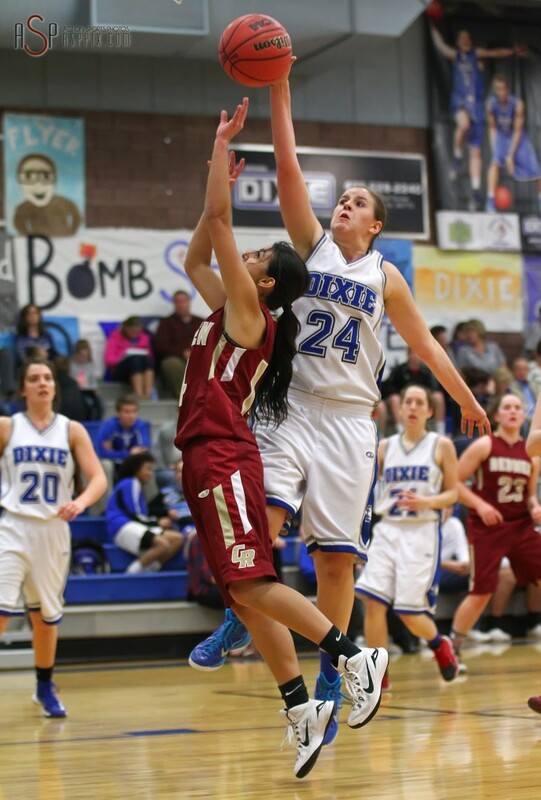 Dixie surged and got to within 34-32 with two minutes left in the third on a bank shot by Aubri Challis. Morley and Priscilla Zeigler each scored for Cedar to make it 38-32 after three. 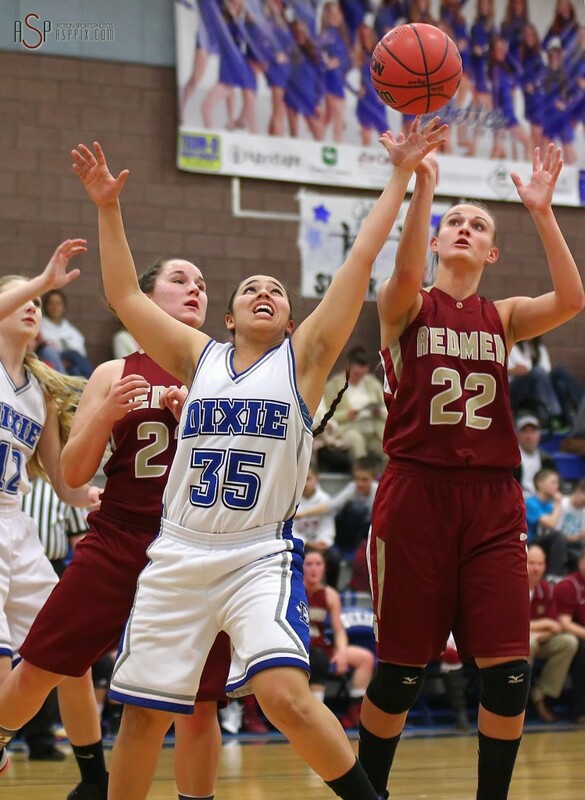 Dixie got within 40-36 early in the fourth quarter on another bucket by Challis, but Cedar answered with a 10-2 run, sparked by baskets by Weaver and Foley, to put the game away at 50-38 with less than three minutes to play. 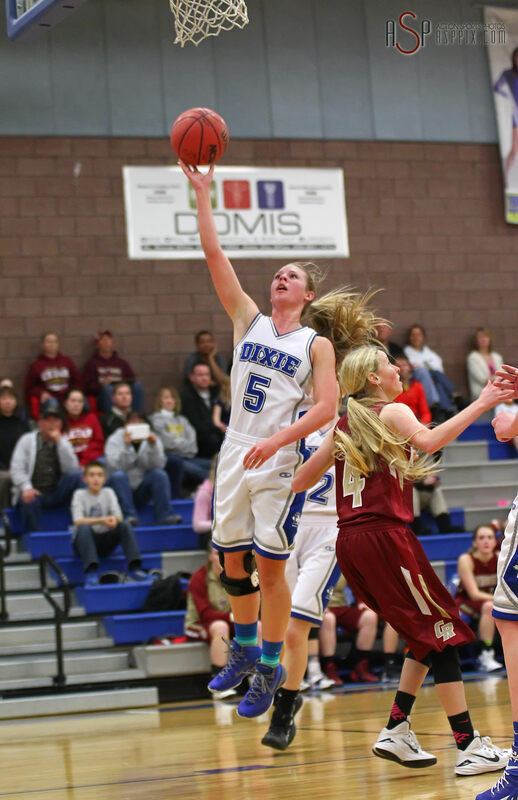 Challis led Dixie with 14 points, though Dixie also suffered a poor shooting night, going just 16-63 in the game for 25 percent. Though the game was tied a couple of times, the Flyers never took the lead once. Cedar improves to 10-3 overall and 4-0 in region play with the win, a half-game ahead of Pine View and now two full games ahead of Dixie. 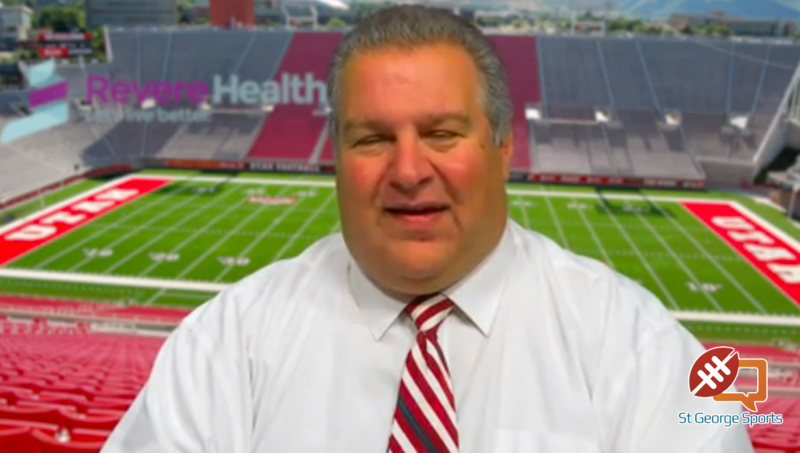 The Reds host Hurricane Thursday night. 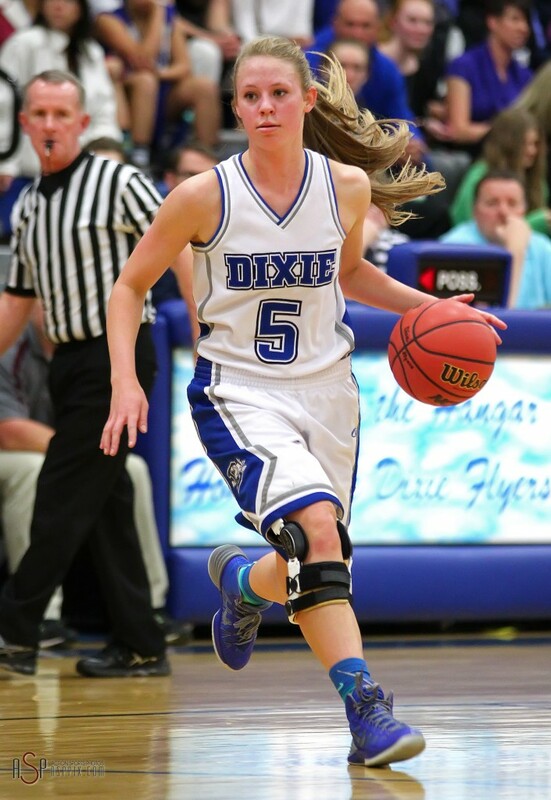 Dixie, now 9-4 overall and 2-2 in region, will host resurgent Snow Canyon Thursday night. 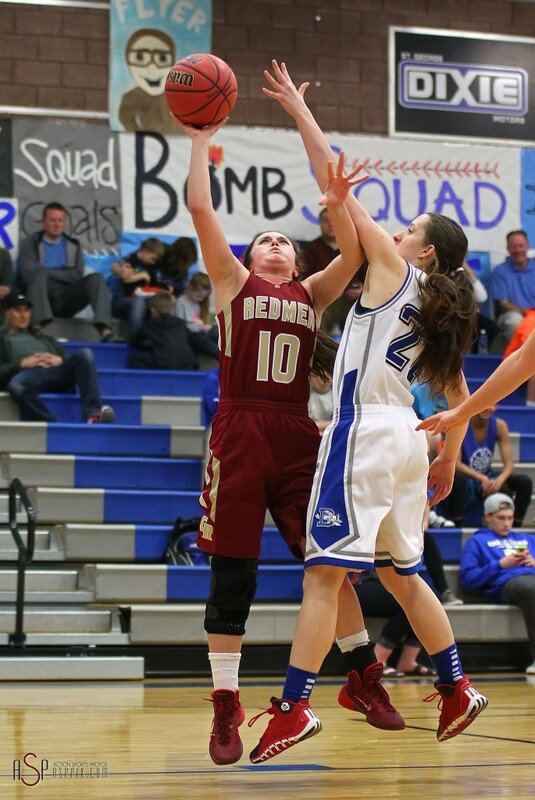 It was a phenomenal defensive effort for the Lady Panthers, who improved to 4-1 in region with the blowout victory. Freshman Claire Newby has emerged as a team leader. She went off for a game-high 14 points and 3 steals from her guard position. Kenya Schone added 10 points and Amber Archibald added 9. Pine View held Canyon View ti single-digits in every quarter of the game, including allowing just seven points in the third and fourth quarter combined. Canyon View managed just 15 percent shooting against the Pine View D, hitting just 6 of 38 shots. The Panthers also won the rebounding battle 31-21. Pine View, now 8-3 overall to go with that 4-1 region record, has a bye Thursday and will busily prepare for league-leader Cedar. PV hosts the Lady Reds next Tuesday. Canyon View, 4-10 and 2-2, is at Desert Hills Tuesday night. SC got its second region win and handed the defending champs their third region loss with the run-and-gun show at The Jungle. The Lady Thunder went cold in the second quarter and the Lady Warriors jumped on the opportunity. 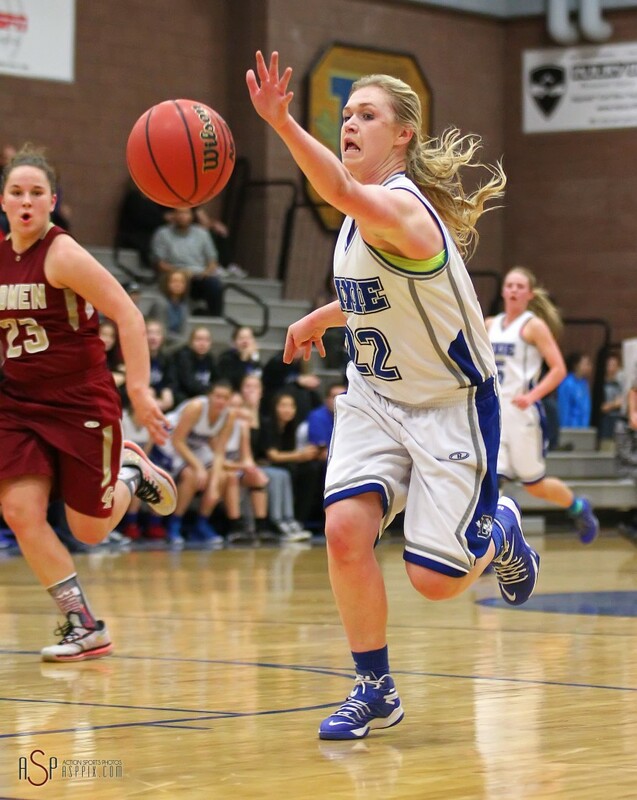 With the big eight-minute stretch, Snow Canyon accrued a 35-23 lead at the half. 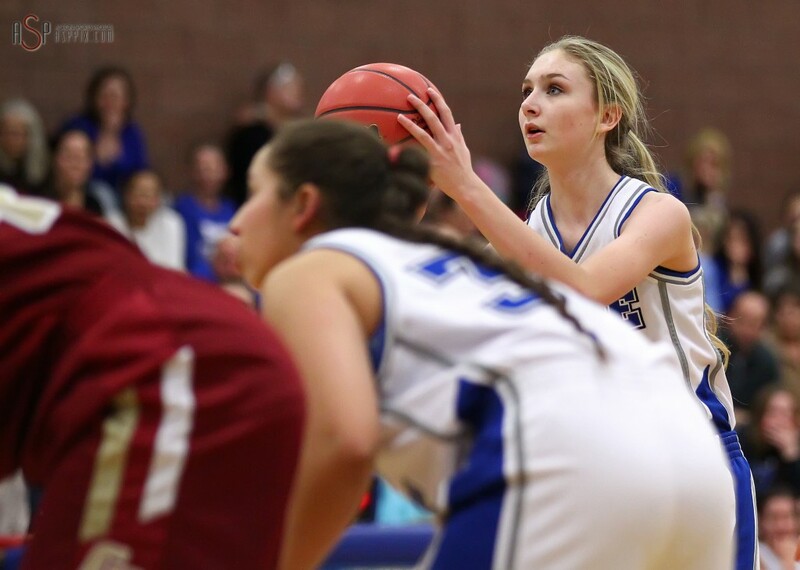 D-Hills cut it down to 49-43 after three, but Snow Canyon didn’t wilt down the stretch and pulled away for the W.
Madi Mooring was sensational, scoring 26 points, grabbing 7 boards and swiping 5 steals. Nikenna Durante also played well for the Warriors, hitting four 3-pointers en route to a 19-point night. Snow Canyon was nails at the line as well, making 23 of 30 free throws for 77 percent. Since starting the season 2-9, Snow Canyon has won 3 of the last 4 and is 2-3 in region play, a half-game ahead of the Thunder for fifth place in Region 9. 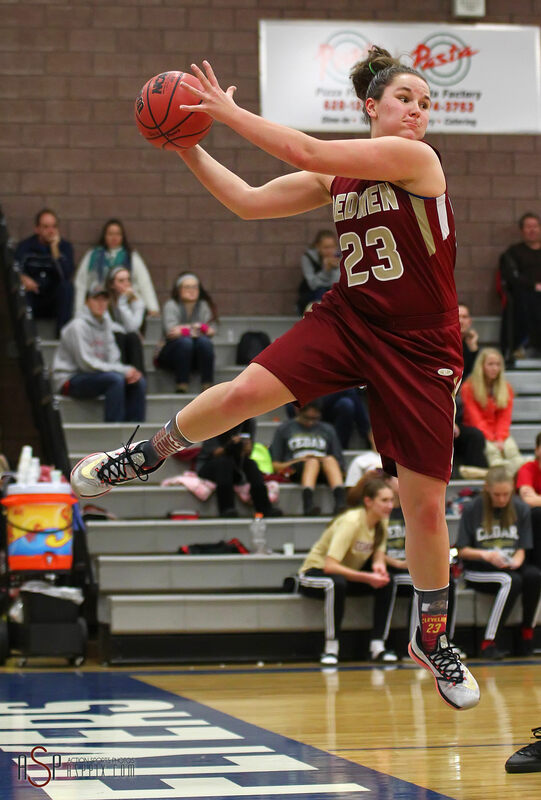 Ashley Beckstrand had nearly two-thirds of Desert Hills’ points in this game as she racked up 39. She made four 3-pointers and also had 4 steals and 3 rebounds. Becjstrand is averaging 21.4 points a game this season and has topped 30 three times. She leads 3A in scoring. The Thunder, 7-6 and 1-3, now has two straight home games, hosting Canyon View Thursday and Hurricane next Tuesday. Desert Hills better start playing team ball, The Beckstrand Show is fun to watch but she shoots the ball so much the rest of the team stands around and watches. New coach better get his priorities in order. If he misses the playoffs with this group he should be fired! Maybe he can have another private meeting with the Beckstrand Family to see how else they can get Ashley the ball more. Ha Ha, JOKE!!! Wow! Your comment is ridiculous. Have you been to any of their games? Beckstrand is the only one that is confident in shooting. The other girls on the team look scared to shoot the ball and are shooting a horrible percentage. Desert Hills NEEDS to start playing some defense. They can’t stop anybody on the inside because they are out sized underneath. They lost to a Pine View team that didn’t make a shot outside of 15 feet. Sounds like coach needs to work on defense. The others don’t touch the ball. 39 points that’s over 30 shots in a 32 min game. 3 assists and she’s the point guard. Team offense will lead to team defense, no one likes to run up the floor all night to watch one player shoot the ball. As a leader you have to build confidence in your teammates by including them not bypassing them. It’s like watching the movie Teen Wolf when half the team is eating and watching the wolf play 5 on 1. Wrong VAASA. Beckstrand made 13 of 23 shots for 54% and 9 for 12 from the line for 75%. I would take that kind of percentage any day. And it is hard for a PG to get assists when teammates can’t make their shots. DH defense has not been there at all the last two games. We are getting beat on the boards and for loose balls. Time to get working on weak side help and. You are right that they are not playing like a team, but you can not blame that all on your top player. 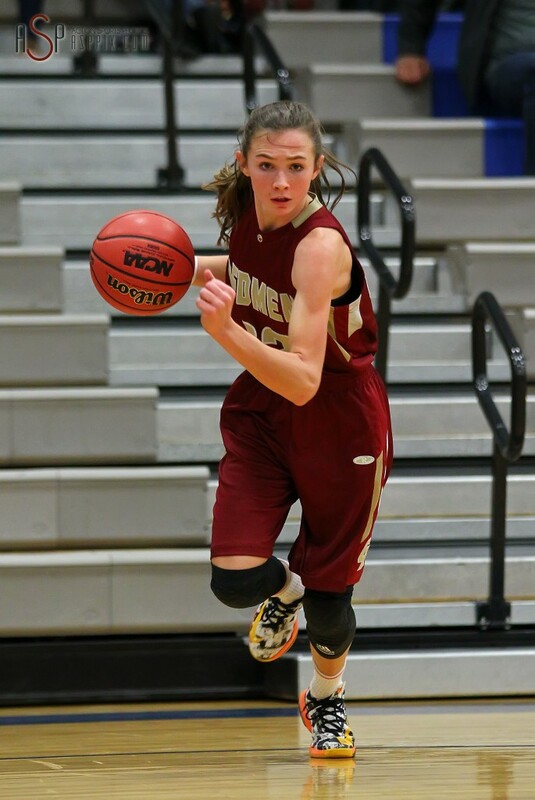 While Desert Hills girls were playing meaningless recruiting games, Pine View girls were in the weight room and conditioning TOGETHER while building a team….maybe jet setting to tournaments is not the way to win high school basketball games. Most Elite team coaches (AAU and the like) these days feel like the regular season is really a hindrance with all the USHAA rules and blackouts. It interferes with their ability to “help” players get recruited. If the parents took all that money spent on camps and “elite” coaching and invested it wisely (beginning in 4th grade) and applied for Financial Aid it is likely that if they had the grades and the scores their child could enroll at the school of their choice. Easy regionninefanboi, They were doing those things for years, now it’s the reason for winning, come on give me a break. It’s because they have a coach that cares, period!! Desert hills can’t play D when Beckstrand throws up a three two seconds into their offense and then it’s a three on one or a two on one the other way. First shot seems to be the first pass in a fast break the other way. Better figure things out quickly DHills. Vassa obviously you don’t have a clue what your talking about. She took 24 shots in that game and shot 55%. What coach wouldn’t take that? “The coach should be fired if he doesn’t make the playoffs.”? You realize desert hills lost 7 seniors from last year’s title team. They now play 3 juniors and 4-5 sophomores. No simple task for a first year head coach. As for your comment about the Beckstrand’s meeting with the coach, you must have been in that meeting right? Since you know the context of what was discussed. Next time have at least a little bit of knowledge about the situation before looking like a fool again. YOU ARE ALL CHILDREN OF GOD AND HE LOVES US ALL!! !